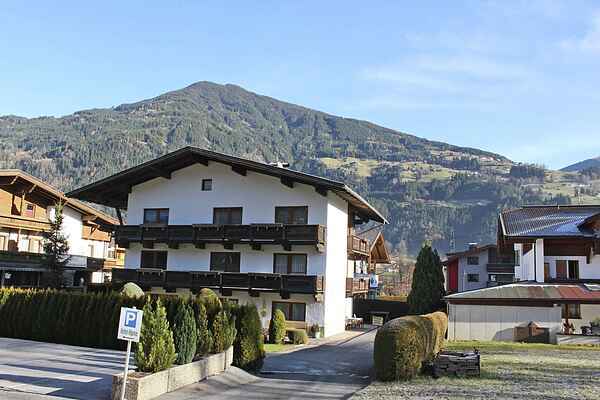 The detached House Silvia is situated right between Ried and Kaltenbach on a sunny spot in the valley. On the 2nd floor there is a spacious and well-kept apartment. Since you are the sole occupier of that floor, privacy is guaranteed. The apartment features 4 bedrooms, 2 bathrooms and a separate toilet. You'll also have a spacious dining room and a kitchen for cooking, including a small seating area, at your disposal. In addition, each room has a nice balcony. House Silvia is the number one choice for a nice ski holiday; the FREE ski shuttle stops practically on your doorstep and takes you to the nearby ski station Hochzillertal.